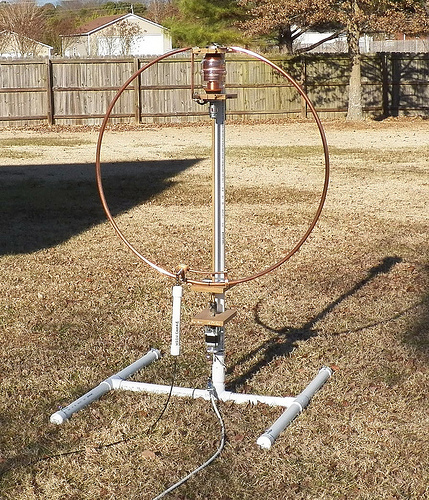 Using a quality capacitor and copper tube, this loop should be as efficient as they come for its size and location. Above is a pic of the loop, and it would appear that the centre is about 1m above ground. Above is K4PP’s measured 40m VSWR. 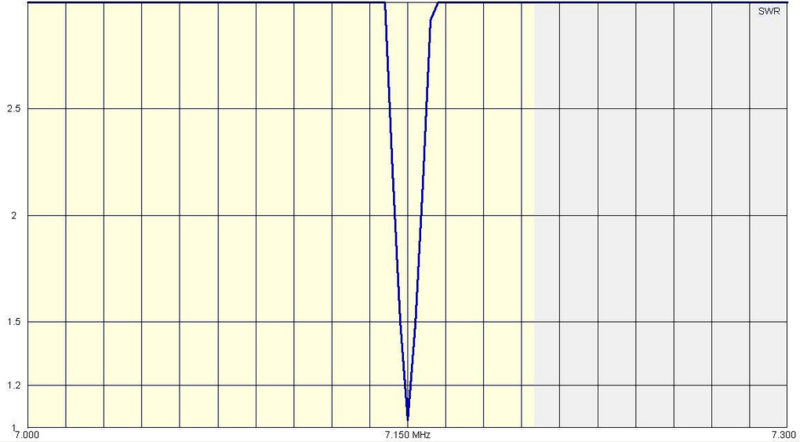 Bandwidth at VSWR is scaled from the plot as 15kHz. 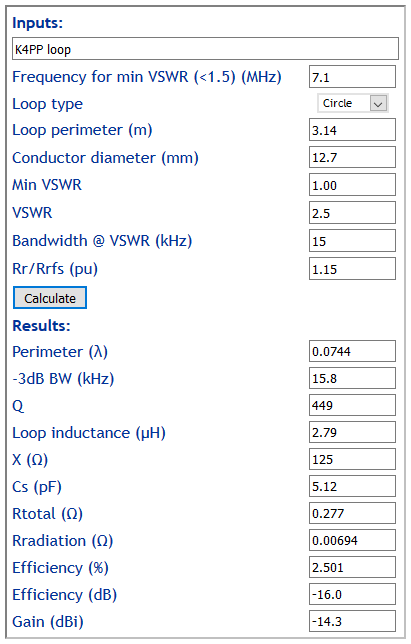 Above is calculation using Calculate small transmitting loop gain from bandwidth measurement of some key loop performance figures from K4PP’s information. Impedances are expressed in terms of the main loop. 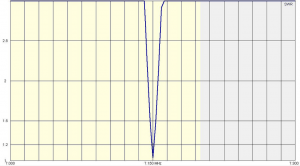 Rr/Rfs is estimated using the graph in Small transmitting loop – ground loss relationship to radiation resistance. 0.075Ω unallocated (Rcap, connection resistance, matching system, coupling to nearby structures, errors in other estimates), 75mΩ does seem high to allocate entirely to the cap. 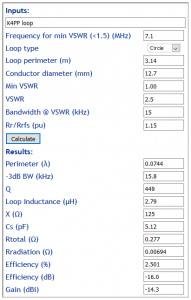 Though there is a significant unallocated component of Rin, the magnitude of Rin is calculated with fairly low uncertainty from the loop dimensions and measured VSWR curve. The Rr component of Rin has uncertainty, and extensive modelling with a range of ground scenarios gives good reason to think that the uncertainty for most commonly encountered ground types is ±3dB, which dominates the efficiency calculation and would make the confidence limits of efficiency -19 to -13dB, or 1.3% to 5.0%.